Tom Mison plays Ichabod Crane, the main character of the original Washington Irving story. Ichabod has spent the last year living in the present day, partnered with Lt. Abbie Mills, creating an endless array of fish out of water jokes. When we last left Ichabod, his wife Katrina was now in the present, but Abbie has been sent to Purgatory. CraveOnline: What was your favorite “Ichabod reacts to the present” joke? Tom Mison: I loved Yolanda. I think Yolanda, there’s such an endearing thing about his conversation with OnStar that seemed to have chimed with an audience as well, and that lingers. Most of them, like at the very beginning with the donut holes, the tax. That stuck with me. That’s a good one. How is the dynamic different in season two now that both Katrina and Jenny are in play? Tom Mison: Well, there are more ladies for people to ship Ichabod with. Can you tease any moments from season two? Tom Mison: I wish I could. So far it’s only been ideas that I’m aware of. I’m waiting for the scripts as much as everyone else. Is Ichabod more concerned with saving his wife or redeeming his son? 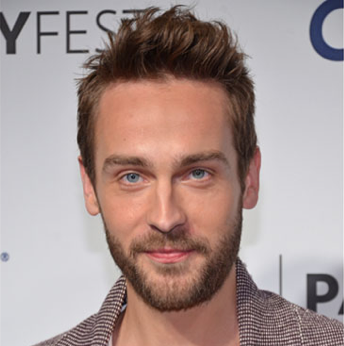 Tom Mison: Or saving Abbie? There are three things that he’s got to do, so yeah, what’s his priority going to be? That’s something that really interests me about where season two will pick up, is that he’s got to start prioritizing which is something that he hasn’t been very good at in season one. What was your favorite monster from the first season? Tom Mison: The Sandman. The really good thing about the show is we have a guy, Cory Castellano, who actually does all of the makeup and the costumes so we have them right there. The first time I saw The Sandman with no eyes and his long fingers, I sh*t myself. It was terrifying, terrifying. Make sure to check out the article here to read the interviews with the rest of the cast.